DevOps Services | Smarter. Faster. Better. Reduce costs. Respond to market forces faster. Deliver value more effectively. Take our 5-question quiz to determine your organization’s DevOps maturity. Use the ‘Contact Us’ form at the bottom of the page to learn more. Do your teams utilize full-scale testing automation? Do you have feedback systems to ensure continuous improvement? Are your DevOps engineers isolated to a specific team in your organization? Do you vigorously examine constraints in your delivery channels? Your development processes and procedures have yet to be implemented or are in their infancy. While the benefits of DevOps may be known to individuals, you might be experiencing challenges in navigating development best practices around source control, code commits and automated builds. Development processes may be underway, but are maturing. Initial steps to automate key functionality might be in place, however key components may not be reliably automated yet. The cultural and organizational shifts required of DevOps are likely challenging to overcome, and the team may devalue the implementation of these practices as just another ‘improvement’ project. Our DevOps specialists can provide coaching to ensure the adoption of new practices and to foster continuous improvement through ongoing support and facilitation. Use the 'Contact Us' form at the bottom of the page to learn more. You’ve matured your development processes and are overcoming the historical challenges of your former processes, however, automation and test coverage may still be impeding the organization. UDig can support the transition to DevOps and ensure your long-term success by providing organizational change management support services. Boost your efficiency, increase your capacity and decrease operational costs through automated, collaborative processes. Streamline software delivery and accelerate product release cycles, improving your speed in time to market – imperative in today’s digital age. Create a more stable operational environment by reducing deployment inconsistencies across your lifecycle and decreasing time to resolution. Simplify your technical environment, manage the unexpected and increase your confidence in the release/deployment process. 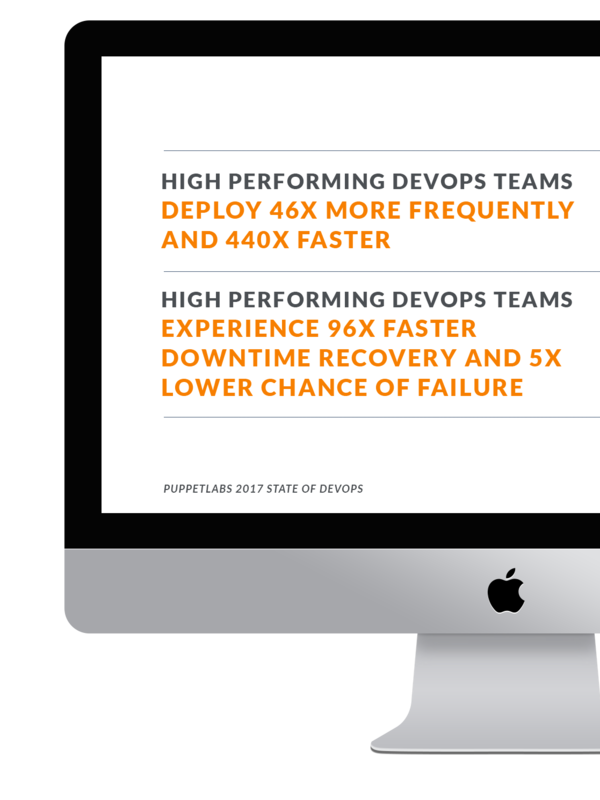 We view DevOps as the natural progression of an agile organization, combining delivery and support teams as a catalyst for efficiency. Many of our clients prefer to keep our partnership confidential and our engagements vague. Below is a story indicative of some the exciting work we've been doing at UDig. A transportation data giant wanted to explore automation for deployments to increase the quality of their output and reduce manual intervention, which was resulting in quality issues, inability to recreate deployments and significant delays. The organization was not seeking another software vendor, but a technology-agnostic approach with honest, unbiased recommendations for tools and methodologies to enable infrastructure and realize the cost-saving benefits of automation and the cloud. UDig partnered with them to provide an assessment and action plan for leveraging DevOps. “>Terraform</a> to provide visibility into all instances, and a combination of public and private cloud instances with automatic scaling. Our recommendation to take an iterative approach in implementing DevOps practices was practical for this client, and they received actionable roadmap to directly reduce deployment times and increase capacity in their data center while improving quality in their deployments and applications. Successfully transitioning to DevOps and integrating your teams is equal parts cultural and technical. We partner with clients in both capacities and customize our support according to your needs. We can assess your current state and make recommendations for tooling, designing a pipeline and organizational alignment to provide the best path for you to become DevOps enabled. Our ongoing coaching and facilitation will ensure your resources have the technical and strategic support they need to implement DevOps practices. We’ll roll up our sleeves and implement solutions to automate software delivery through continuous development, testing, releasing and monitoring. We can automate infrastructure and build a high-performing pipeline to transition you off of your high-maintenance data center to an environment that pairs perfectly with DevOps. DevOps is all about delivering applications and services faster and more reliably. It’s automating your processes to increase productivity through a more efficient and effective system. It’s creating a more stable and secure environment. It’s forging the bridge between your IT and Operations teams to be better integrated and more collaborative. It’s decreased downtime through quicker resolution of issues and increased time to innovate. It’s continuous integration and continuous delivery. UDig can ensure your organization’s implementation of DevOps practices is successful in both the long and short term – whether you’re only just beginning to consider this transition, or are mature in your processes. Reach out to learn more about how UDig's DevOps capabilities can drive change within your organization. A member of our team will follow up with you soon.